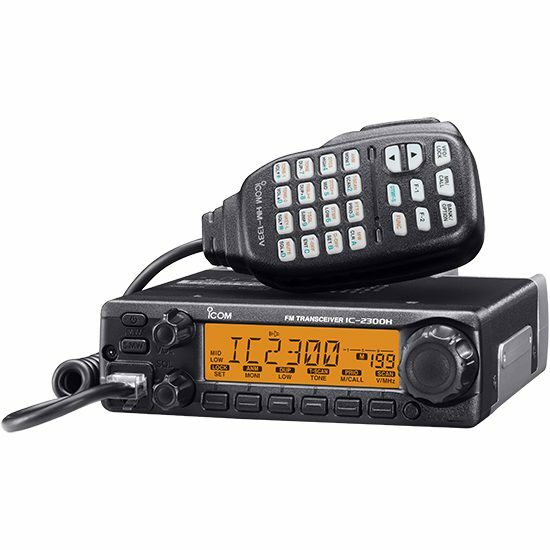 The IC-2300H, 144MHz mobile, retains the same basic features from the popular IC-2200H; powerful 65W output power, simple-to-use user interface, built-in CTCSS and DTCS encoder/decoder, etc. While keeping those basic features, the IC-2300H is packed in to a smaller body (in depth) than the IC-2200H. The IC-2300H’s basic panel layout includes a simple user interface. A large LCD with 6 alphanumeric characters offers a good viewing angle for mobile operation. Select either the amber, yellow or green backlight color. The bottom of the display indicates the available front panel functions. Rough roads won’t stop the IC-2300H from working. This mobile has been tested to and has passed the latest MIL-STD 810 G specifications including shock, vibration and temperature tests. The rugged aluminum diecast chassis provides effective heat dissipation and keeps RF output even during high duty cycle continuous transmission. 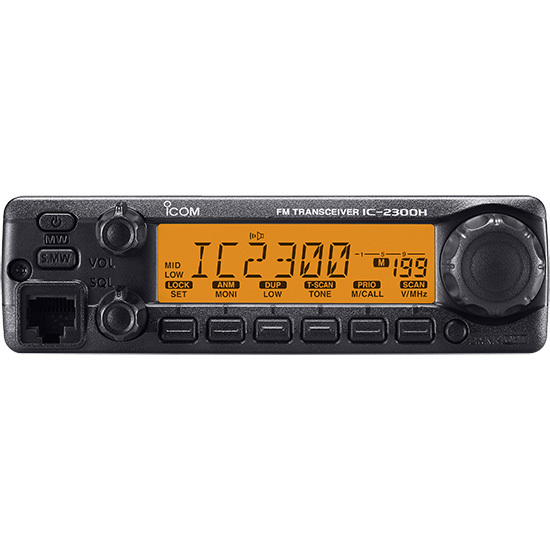 The IC-2300H supports various scan types for maximum reception to suit your needs. The DMS (Dynamic Memory Scan) system allows you to scan selected banks from 10 memory banks by simply adding and deleting bank links.